Although an exchange will not be appropriate in all situations, it should be considered whenever business, farm or investment real estate is being sold. Projecting the income taxes payable from the sale if an exchange is not used is the starting point. To qualify for the tax savings, not only must the real estate being sold (relinquished property) be used for farm, business or investment purposes, but also the real estate that is being purchased (replacement property) must be held for farm, business or investment purposes. It is not an all or nothing requirement, however. The seller can keep some of the cash from the sale and only invest a portion of the sale proceeds in other real estate, but the income tax savings will only apply to the portion of the proceeds reinvested in qualified real estate. Farm real estate can be exchanged for an apartment or other commercial property; the replacement property does not have to be a farm. The like-kind requirement is satisfied as long as real estate is exchanged for real estate (used for farm, business or investment purposes). Some of the more common situations where our office has assisted PFB members with exchanges include: (1) the sale of agricultural conservation easements; (2) the relocation of a farm operation from one place to another; (3) the sale of a portion of the farm for warehousing or other development purposes; (4) rearranging the ownership of jointly-owned property among siblings or others; and (5) the condemnation of property for highway, school, pipeline or other purposes (there are more lenient IRS rules for reinvestment of condemnation proceeds). The like-kind exchange process usually involves four advisors or services, including: (1) a tax preparer/advisor; (2) an attorney to prepare the agreements of sale and related documents; (3) a title insurance company to insure title to the property; and (4) a qualified intermediary (QI). The QI is used to satisfy the IRS condition that the seller cannot actually receive the sale proceeds. Instead, the QI receives and holds those proceeds until it is directed to release the money to purchase a replacement property. The IRS has rigid deadlines that cannot be extended for hardship or other reasons in the like-kind exchange process. For example, replacement properties need to be identified within 45 days of the closing for the relinquished property. Similarly, the closing for the replacement property needs to take place within 180 days of the closing for the relinquished property. The attorneys at Mette, Evans & Woodside have guided and assisted many PFB members through the like-kind exchange process and can assist you in the evaluation and implementation of a like-kind exchange. As part of the succession planning process, most farm owners anticipate the challenge of balancing the older (transferring) and the younger (receiving) generations’ financial needs. And, they know that a difficult decision about the fair distribution of assets among the on-farm and the off-farm children is inevitable. However, equally important in the succession planning process, discussing prenuptial and postnuptial agreements (“marital agreements”) comes as a surprise or is uncomfortable for many from a family or moral perspective. Marital agreements are used to establish the rights of a married couple in the event of a divorce, and sometimes death. By statute, Pennsylvania provides what the financial rights of spouses are in the event of divorce and also in the event of death. Just as a person has the right to alter the will that Pennsylvania has written for each of its residents (intestacy law), marital agreements can be used to alter the terms that otherwise apply in the event of a divorce of a married couple. The financial effect of divorce in the farm community is severe due to the high value of farm assets in comparison with the relatively low net farm income. The forced liquidation or distribution of some or all of the family farm assets due to divorce is especially troubling when those family farm assets have been accumulated and preserved over multiple generations at great sacrifice, both in terms of the sweat equity invested and the relatively modest income paid to those farm family members. Further, the involvement of multiple family units in the family farm business means a single divorce can have wide-reaching effects beyond the individual family unit. While most people think of the younger generation in the farm family business when the topic of marital agreements arises, they also need to be considered by the older generation, particularly with a remarriage following the death of a prior spouse. In one instance with which we were involved, for example, an on-farm child, who was to inherit the farm as a gift from his father, had to pay his step-mother over 30% of the value of the farm. This result could have been avoided through a properly-drafted prenuptial agreement. 1. A comprehensive disclosure of financial information is required. 2. Each of the two parties to the agreement should be represented by separate attorneys. 3. Without a marital agreement, the income from and appreciation in value of gifted/inherited assets and of pre-marital assets become marital property, subject to equitable distribution in a divorce, even if the assets are only titled in one spouse’s name. As Benjamin Franklin famously declared, the only things certain in life are death and taxes…but the ag/family business exemptions enacted in recent years are reducing the Pennsylvania inheritance taxes for many farm families. With proper planning and action, both before death and even after death, these inheritance tax savings can be substantial. Practically every farm family has, historically, paid Pennsylvania inheritance taxes at some point in time. Unlike the federal estate tax with a current exclusion of over $5 million of assets, Pennsylvania’s death taxes are payable on the first dollar of non-exempt assets. With a tax rate of 4.5% for transfers to direct family members, $45,000.00 of inheritance tax is payable for a farm family with a $1,000,000.00 estate, but the ag/family business exemptions can eliminate all of these taxes. 3. A family business exemption that includes ag businesses, but also extends to non-ag businesses. Each of these exemptions has different qualifications and requirements, which is why an in-depth knowledge of the exemptions by your attorney is essential for proper planning. For example, two of the three exemptions include a seven-year look-back condition, similar to the Clean and Green law for real estate tax purposes. This condition, which you want to try to avoid, is often referred to as a clawback feature that requires the inheritance tax savings to be repaid if certain actions or events occur. The immediate family ag exemption does not have a clawback provision so there is no need to account to the Department of Revenue for what is done with the exempt assets after a person’s death. It is the most narrow of the ag/family business exemptions in terms of the eligible beneficiaries, the type of farm assets exempted and the manner in which the farm assets need to be owned by the deceased person at death. The family business exemption, available for both ag and non-ag businesses, is the broadest in scope, but even it has limitations, such as the requirement that the net book value of the family business be less than $5 million. However, there are pre-death planning techniques that can expand the family business value covered by this exemption even though the collective fair market value of the family business may exceed $5 million. If you are in the planning stages for your estate or farm succession, these ag/family business exemptions are one of many factors that need to be considered in the development and documentation of a complete estate and succession plan. Similarly, if a family member of yours has died within the past four to five years, and the estate attorney or other advisers did not utilize these ag/family business exemptions to reduce the Pennsylvania inheritance taxes, there may still be an opportunity to do that because a refund request can be made for inheritance taxes for a period of up to three years from the date of final payment or determination of tax. Mette, Evans & Woodside attorneys are knowledgeable about these ag/family business exemptions to Pennsylvania’s inheritance tax, as well as the many other tax and non-tax factors to be considered for your estate and succession plan and to settle the estate of a family member with farm or other family business assets. They are able to assist you with these and other legal matters. The use of formal contracts in agricultural production, including crop growing and livestock production arrangements, has been on the rise in recent years. If you find yourself wondering whether it’s worth it to have a formal agreement in place in a production relationship, remember that the purpose of a formal contract is to minimize risk. The more certainty you have in place by clearly agreeing to terms in writing, the easier it becomes for you to manage and plan for risks to your business when entering into the production arrangement. Pricing: How is the price of the product determined? Is the price based on a market price? If so, what market is used? When does the determination of market price occur? Who bears the risk of a fluctuation in market price? Do you want to have a minimum price built into the agreement to limit your risk of market fluctuation? Payment: How are you expecting to get paid? Upon delivery? Will that be invoiced? How soon to you expect to receive payment after delivery? What happens if the payment is late? If they stop paying you, how do you get out of the agreement? Quality: What quality standards are in place for the product? Are these standards objective third-party standards, like the USDA or the FDA? What happens if the product delivered does not meet the quality standard? Delivery: Who is responsible for delivery? Who bears the risk of loss if the property is damaged in transit? 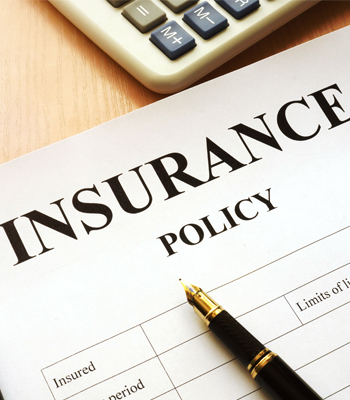 If you bear this risk, is this loss covered by an insurance policy? Cancelation/Termination: Is the term of the Agreement clearly stated? What procedures are in place to terminate the agreement early for each party? What is the impact of such termination? What happens if there is a default by either party? Catastrophic Events: What party bears the risk for a catastrophic event outside of either party’s control? 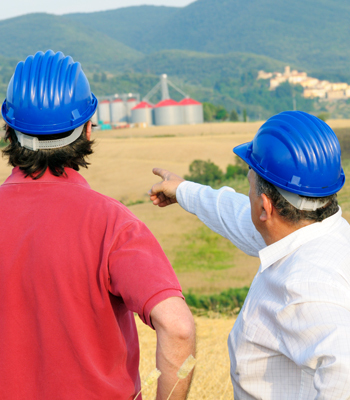 Avian flu, insect outbreaks, and catastrophic weather are all events that can drastically impact your ability to produce, depending upon the nature of your agreement. Does the agreement contain provisions that relieve you of your obligation to produce upon the occurrence of a catastrophic event? Agreeing to clear terms like these allow you to manage your risks in connection with the production arrangement. While a written agreement may seem unnecessary at the outset, remember that it’s only when something goes wrong that the existence and terms of a contract become critical. That’s why it’s best to think about and plan for these issues at the beginning, when you can still take the time to manage and minimize your risks.